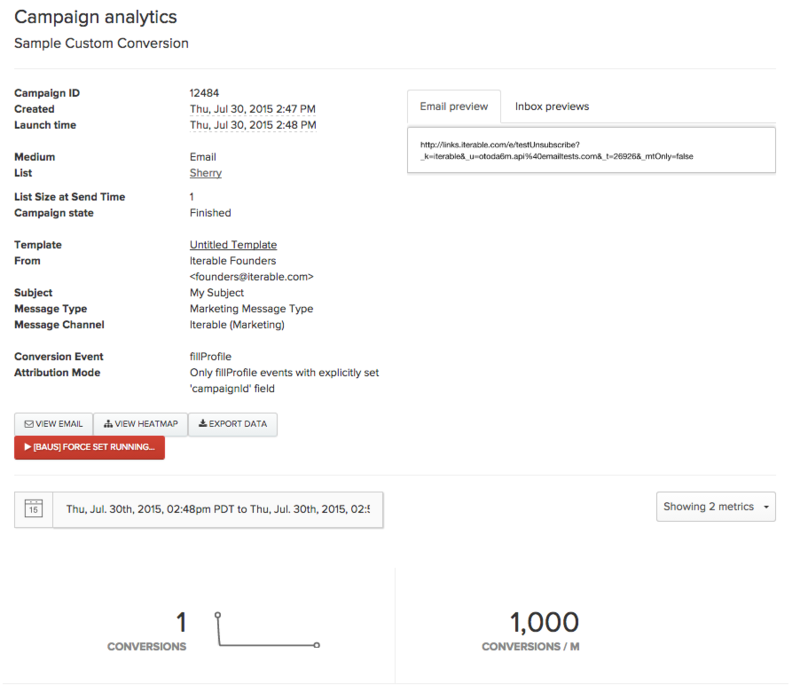 Iterable allows you to track custom conversions in campaign analytics. This means your campaign reports can show the number of conversions or specific events which resulted from the email campaign. By default, Iterable has purchase and revenue tracking turned on for each campaign. If you prefer to use custom conversion tracking, go to Settings > Project and turn off Show Revenue. Only conversion events with a campaignId field set to this campaign will be attributed to the campaign. 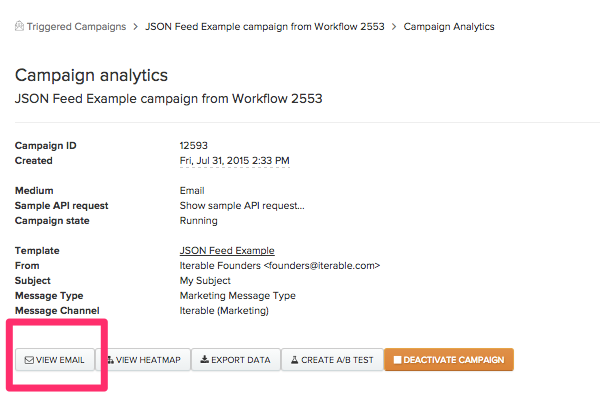 You can set the campaignId for conversion events via Iterable's /events/trackAPI endpoint. If you plan to use the custom conversion event as an optimization metric in an A/B experiment, you will also want to pass over the field called templateId. This allows us to attribute the custom event to the right variation since each experiment variation has a different templateId. Read more about Iterable click tracking and cookies. Conversions made by a user within a specified time period after a send will be attributed to the campaign. This method may be less accurate, because it does not require the user to have opened or clicked the message to have the purchase attributed to the campaign. It only requires that they were sent the message. This method does not require any additional engineering work. If a user is sent two emails with an attribution period set for the same event, then the most recently sent campaignId will take precedence for conversion attribution (assuming both periods are still active). If a call to Iterable's /events/track API endpoint specifies a campaignId, then the conversion will be attributed to that campaign.